Working with a client centric approach, we are offering customization over our range of Horizontal Boring Machines. 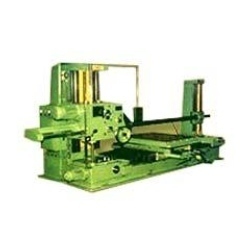 These boring machines are designed with utmost accuracy thus making sure that there remains no flaw in the functioning of these machines in the long run. Acknowledged or performing efficiently even in rugged conditions, these horizontal boring machinery are in wide demand across the globe and are offered at industry leading prices. We are catering to the requirements of clients based across the globe while manufacturing and exporting a precision-engineered range of Horizontal Boring Machineries. These machines are demanded for outstanding performance even in rugged conditions and are customized as per the specifications of our clients. Our range is packed in properly and delivered in the shortest time frame thus assuring the maximum safety of the range before it is delivered at our client’s end. Looking for Horizontal Boring Machines ?